Eleven Offshore Banks On The US Radar: What Happens Next To Swiss-Based Private Banking? 4. Documents related to funds transferred to third parties on behalf of US clients. The risk of criminal and/or substantial civil penalties grows greater as the US Internal Revenue Service (IRS) and Department of Justice (DoJ) complete more bank-investigations and as foreign banks continue to co-operate with US government officials. The US pursuit of offshore tax evaders includes Israel, where US authorities are scrutinising three of Israel's largest banks -- Bank Leumi Le-Israel, Bank Hapoalim and Mizrahi-Tefahot Bank -- over suspicions their Swiss outposts helped American clients evade taxes. The banks are under scrutiny by the US DoJ's criminal tax division. The shift to Israel from Switzerland -- for years the main focus of the DoJ's campaign against offshore private banking secrecy-- signals the broadening of a landmark probe by the agency that began in 2007 with UBS. The shift also opens up a potential sore spot in the historically close relationship between the US and Israel, a key diplomatic and military ally in the Middle East that is the biggest recipient of US aid. Tracing non-compliant funds from Swiss banks to Israeli banks is indicative of the expanding global scrutiny and effectiveness of the US tax investigations. 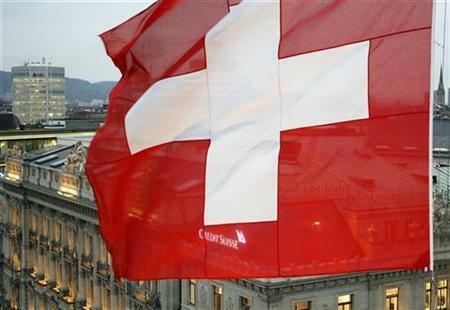 The scrutiny of the three Swiss branches of the Israeli banks has gained significant momentum but is yet to reach the level of Credit Suisse or of HSBC Holdings -- a major European bank -- and Basler Kantonalbank, a Swiss cantonal bank. On January 9th, 2012, the US Internal Revenue Service (IRS) re-opened its Offshore Voluntary Disclosure Program (OVDP) to encourage US taxpayers with undisclosed offshore accounts to come into compliance. The 2012 Amnesty Program is in response to continuing interest from US taxpayers after the 2009 and 2011 programs ended, making this program the third in the past three years. With the renewal of a third Voluntary Disclosure Program it seems clear that the IRS is dedicated to providing taxpayers with opportunities to come forward, which is something that US taxpayers with undisclosed offshore accounts are being urged strongly to consider in light of the recent developments. In parallel, the DoJ's tax division continues its aggressive mission to obtain bank record information on US citizen's offshore accounts around the world. As they describe it, the "top litigation priority is the concerted civil and criminal effort to combat the serious problem of non-compliance with our tax laws by US taxpayers using secret offshore bank accounts." Past Swiss guarantees of statutory bank secrecy dating back to 1934 are now long gone in the wake of the UBS tax evasion scandal, surrendered under pressure from threatened and existing US indictments of multiple Swiss bankers, lawsuits against UBS and Credit Suisse and a list of other Swiss banks, all now targets of the US IRS and DoJ. The Swiss agreed in 2009 to meet tax information exchange standards to avoid being blacklisted as a tax haven by the Organisation for Economic Co-operation and Development (OECD). The US Internal Revenue Service (IRS) and the US Department of Justice’s (DoJ) tax division have made it clear that they are intent on taking the secret out of secret bank accounts and will prosecute anyone involved: tax payer, banker or professional advisor such as legal attorney. The risk of the IRS discovering a taxpayer’s undisclosed offshore accounts has increased manifold with far reaching bank investigations. The consequences for failure to comply with the proper disclosure and filing requirements may lead to audits, severe financial penalties, and in some cases, criminal prosecution. The US government is committed to bringing all US taxpayers with undisclosed offshore accounts into compliance regardless of the consequences for the off-shore banking industry. The European and Asian governments may follow suit in the footsteps of the US tax authorities. Given that some of the financial institutions that constitute the list of 11 banks on the radar of US authorities are also on the list of Systemically Important Financial Institutions (SIFIs), it remains to be seen how this saga plays out and what its consequences might be for global banking. What are the unintended consequences of the US tax investigations in regard to the eleven banks and the interlinked systemic risk?